Story telling. It's not a game, it's an adventure. Every medium has its bias, the stories it cannot tell. ... We will want to tell the stories that demand interaction. But what does that mean? ... What is the story that can best be told with your meddling? The main potential offered by digital media is that it introduces the dimension of interactivity to texts. In Barthes's terms, the text literally becomes writerly -in the sense that it is not completely written before the reader reads it, but is constructed by the reader. Yet what does interactivity add to narrative texts? And are the participant's choices merely fixed in advance by the computer software? One defining characteristic of narrative is that it has a predetermined structure based on specific outcomes. A participant's input can simply destroy that structure. The predetermined structure of narratives excludes the possibility of interactivity - that is, interactivity is incompatible with narrative structure. Narratives are therefore inherent readerly - it is narrative that makes a text readerly. This is why The Fifth Element employs all the video game rules listed above except interactivity. One way to understand the opposition between narrative and interactivity is to think of narrative as spectacle. This may at first sound confusing, because film theorists from the 1970s onwards have opposed spectacle to narrative (most famously articulated by Laura Mulvey in "Visual Pleasure and Narrative Cinema' and by Stephen Heath in 'Narrative Space', both to be found in Rosen 1986). Yet I am not referring to spectacle in this narrow sense. Instead, I am using the term more globally, in Guy Debord's sense of the 'society of the spectacle', a society (modern capitalism) in which direct experiences are replaced with represented experiences. Film is therefore a spectacle in this sense because it is a representation based on spatio-temporal displacement, which creates an irreducible distance between film and spectator. 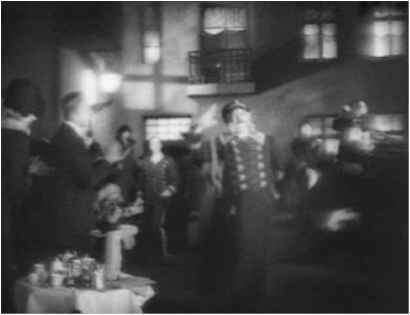 And it is this irreducible distance that minimizes interaction between film and spectator. For a medium to become interactive (or writerly) requires it to go beyond spectacle (and narrative). Daniel Dayan and Elihu Katz (1985) distinguish 'spectacle' from 'ceremony' and 'festival'. In contrast to spectacle, ceremony and festival involve interaction, although to different degrees: festival involves a strong interaction between audience and the event they experience (as in carnivals), whereas ceremonies involve a measured interaction (reactions such as shouting and applause).1 The recent emergence of interactivity as a cultural practice seems to suggest that we have gone beyond 'the society of the spectacle' - that is, beyond modern capitalism, towards what Fredric Jameson calls late or multinational capitalism. As an invention that emerged from modern capitalism, film is firmly rooted within the society of the spectacle. Interactive digital media, by contrast, need to be conceived along the lines of festivals and ceremonies - as writerly rather than readerly texts.